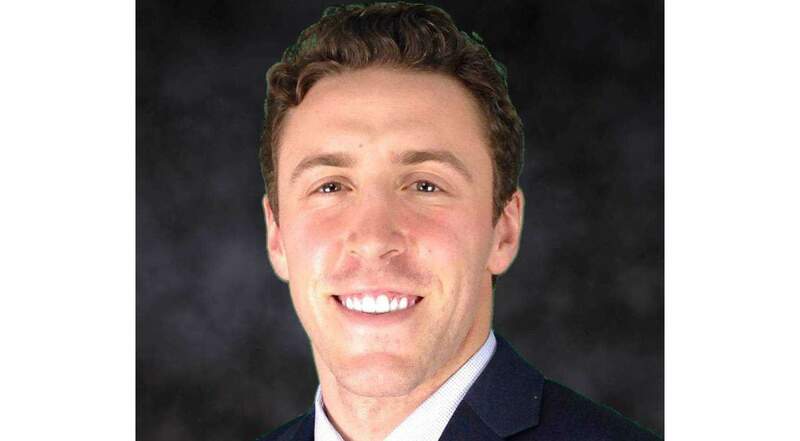 CLEVELAND – Jan. 24, 2019 – Michael Clark, Oswald Sales Executive, Employee Benefits, has been named to the 2019 Rising Stars in Advising class by Employee Benefit Adviser. 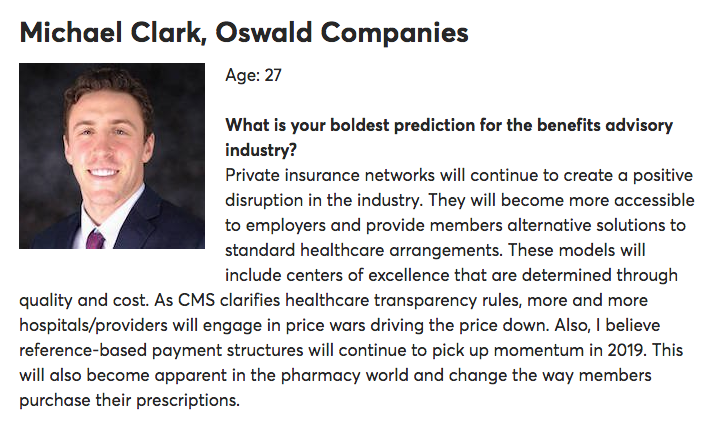 Clark joined Oswald Companies in 2015 as a Sales Executive and in his first year was awarded the “Rookie of the Year/Top Newcomer” award. The following year he was awarded the “Top Producer/Organic Growth” award. He continues to invest in learning and understanding all aspects of the industry. Clark holds a bachelor’s degree in communications from Kent State, where was a member of the 2012 College World Series team and a Major League Baseball draftee. He is pursuing his master’s degree in business administration at The Ohio State University Fisher College of Business. Outside of work, he actively participates and volunteers with numerous Northeast Ohio organizations and nonprofits, including Habitat for Humanity, Akron Children’s Hospital, Akron-Canton FoodBank, National Football HOF, Cleveland Clinic Taussig Cancer Center, Knights of Columbus, Volunteers of America, VeloSano, and more. During baseball season, you can find him at a local field helping coach different youth teams. He also participates as a team member for Oswald in Cleveland’s annual Corporate Challenge. View the full feature on Michael Clark on EmployeeBenefitAdviser.com. “Michael has been a Risk Management Sales Consultant for our organization for over four years after pursuing a career in professional baseball. During his tenure he has risen above his peers and exceeded all expectations continually reaching sales goals and cultivating client relationships with a holistic approach to solving complex problems and always delivering on his promise. His passion for excellence, integrity, resourcefulness and commitment to his community make him a promising leader in our organization. It comes as no surprise to me that Michael has been recognized for this award. He possesses a thirst for knowledge greater than anyone I have seen at his age and his drive to convert that to a practical business environment is impressive. Learn more about Oswald’s Employee Benefits Division.